Let’s Talk July GLOSSYBOX Now!! I am totally aware this it is the end of August already (seriously where did the summer go?) 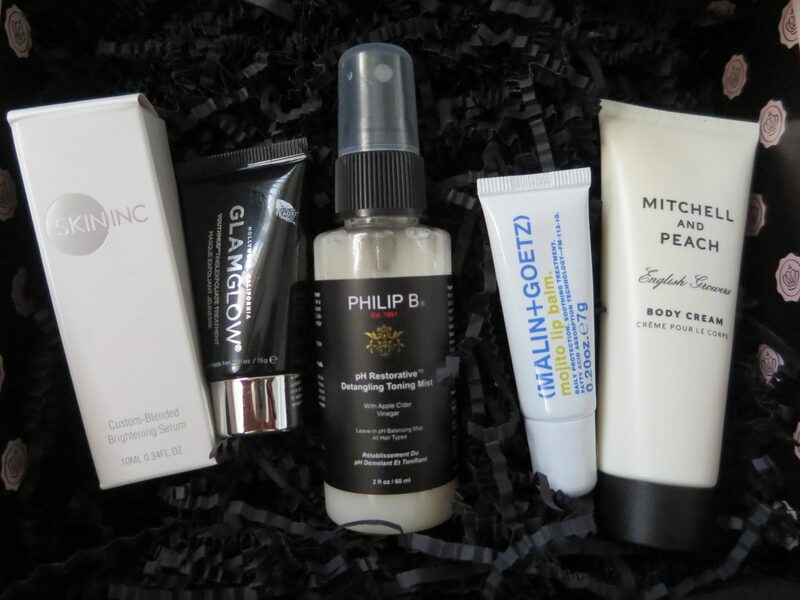 and I am just now posting up about the July GLOSSYBOX here. But first time really does fly when you are having fun and second I only received my box about 2 weeks ago (yes in the middle of August I got my July GLOSSYBOX). Crazy, but true. As much as I was shocked at how truly late it did indeed arrive, once I did indeed get over the shock, I was pleasantly surprised by how much I did truly enjoy this month’s beauty box of goodies, which as much as this was a summer box the items could easily be carried over into the fall and cooler months, as well. 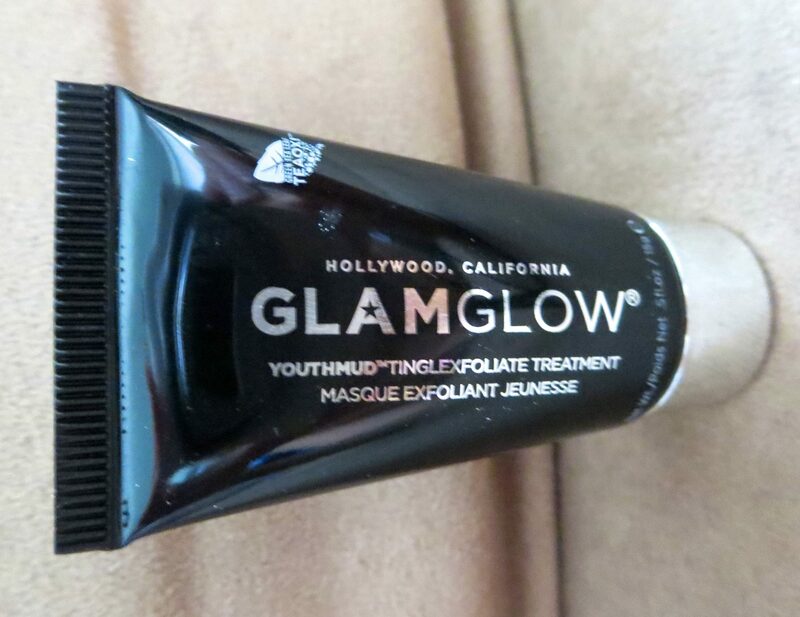 So what exactly came in my July GLOSSYBOX? I know you are dying to see and without further ado, here is my unveiling of this awesome box!! 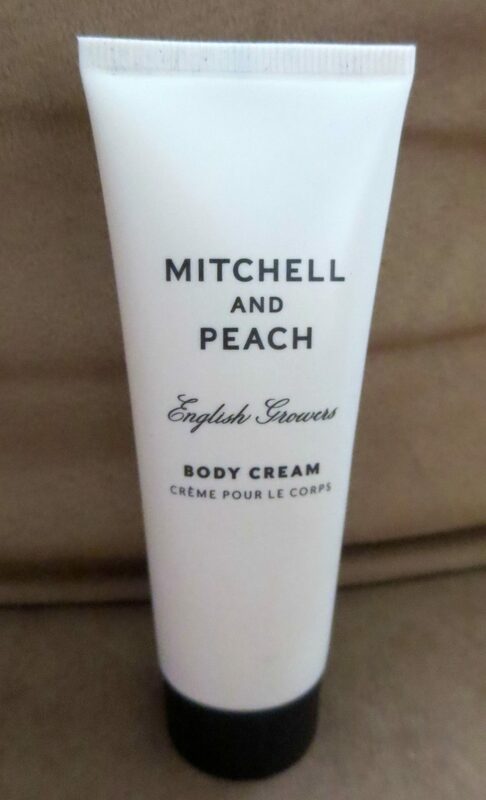 A luxurious body cream containing pure English honey, organic cocoa, Vitamin B5 and shea butter to leave skin soft, nourished and delicately fragrances Like all Mitchell and Peach products, it contains steam-distilled floral essential oils from the Mitchells’ fifth-generation estate in Kent, England. Not going to lie, I saw another body cream and was instantly thinking more of the same, but then I opened it and put it on my hands. The smell for me brought me back to my childhood, because my own grandmother used a hand cream that smelled similar to this with a fresh clean scent that also totally made my hands feels smoother and silkier. So the product description totally didn’t lie and the scent really was that added boost to bring back a small piece of my youth and childhood here, too. This power-packed “facial in a jar” is said to work with skin’s natural collagen to exfoliate, tighten pores, smooth texture, reduce fine lines and absorb impurities. Now a cult favorite, this 10-minute mud mask is comprised of French sea clay, volcanic pumice rock and pieces of green tea leaf. This is the one product I haven’t tried yet int he box, but excited to as the product tease sounds like it is going to be definitely worthy of use. Plus, I got to view my very good friend, Niki’s Youtube video here on this month’s box and her thoughts on this facial has me dying to try this when I get a few free quiet moments away from it all in my crazy house now! Say hello to clear, radiant skin with this custom-blend of tone-improving vitamin A, detoxifying chlorella, and hydrating hyaluronic acid. Featuring Skin Inc’s patented encapsulation technology, this not only improves skin tone and the appearance of dark eye circles, but also tackles dullness and dryness. This is truly one of my new all time favorites. See when I received this box, my skin had recently broken out from my period and the heat, as well. I used it over night and the next morning the blemishes that I had on my lower forehead and cheek were definitely healing and less noticeable. I also have dark circles and was hopeful (have tried so many products for this) for this end, as well. I have to say that the dark circles are bit less dark (might be my imagination), but still for the healing effect on my broken out skin, I am thinking I may need to buy this one even after I use what was sent to me this month. FULL SIZE $45.00 / .34 OZ – RECEIVED FULL SIZE! A weightless, daily detangling mist that leaves hair shining and frizz-free. This keratin-safe leave-in toner works by adjusting the pH of tap water to seal the cuticle of your hair for smooth finish. Spritz on after your shower or throughout the day to instantly revive your style! Not sure what a toning mist is, but from what I read on the packaging and the description was hopeful that this would help my summertime frizzy, wavy hair. I have been wearing my hair more natural now that it is summer and not drying and straightening as much. So, again the frizz has been here with the warmth and the humidity nonetheless, too. I opened, shook it up as the directions instruct and sprayed it on. Not going mince words, I hated the smell. It reminded me of an old bologna or even olive loaf sandwich from when I was younger and would bring to school with me. As much as I loved to eat those back int he day, the smell is less then desirable for one’s hair. However even negating the smell, did it do the trick as leaving my hair smooth? No as much as I hope for, so between the smell and it not truly helping my frizz, I think I will be forgetting this one at least for now. Featuring a refreshing mojito flavor, this gel balm melts into lips to moisturize without stickiness. Ue a dab as a treatment, and a bit more for a glossy, not to mention sweet finish. If the Skin Inc Brightening Serum was a contender for favorite this month, as I shared above then the Malin + Goetz was definitely in the running, too. See, I always feel my lips are an issue here with dryness, especially at night time, because I always seem to wake up in the morning with very dry lips after sleeping for a few hours. I tried this first during the day, because hello – Mojito flavored! I mean one of my all-time favorite cocktails and the flavor of this lip balm was not a let down in the least. And then I used it at night and absolutely loved it and woke up int he morning to truly much less dry lips, which were still pretty moisturized from using this overnight. So, this one is also a keeper for me, too! Now that we have made it through the July GLOSSYBOX, you are going to want to order if you haven’t already since the the August GLOSSYBOX just so happens to be their 3 year anniversary box and already have seen some sneak peeks and it is going to be amazing and treat for all beauty lovers for sure! When you do these posts, I’m always amazed at the products that exist that I knew nothing about. Men. Let me tell you about men. I bought a bottle of body wash – at the dollar store – that I thought was shampoo and body wash in one. But – I’m using it as shampoo anyway. Women are so much further advanced. lots of goodies in your treasure box. Thinking of you and sending hugs your way! I use that lip balm almost every night! Even though I’m a female – I’m like Eli and didn’t even know about a lot of these products – I’m pretty lame on the whole beauty thing!!! I think I’ll pass on the Glossy Box, but I wish you a wonderful weekend. 🙂 Hug those girls for me, Janine. To me the body cream sounds awesome, I just love the name, lol. My first time hearing of it. I’m glad you liked the scent. The box is a nice one. I always enjoy your Glossybox reviews. I am a product nut when it comes to trying new things. I would especially enjoy the body cream from your description. My face has been breaking out this summer, too, and I have the worst dark circles! I don’t know what to do, so I’m thinking I definitely need to try both that mask and the brightening serum. You get so many fun packages in the mail! That brightening syrum (is that how to spell syrum???) looks amazing. I love your Glossy Box posts!! I hope you’re having an amazing Friday, Janine! I can’t believe summer is almost over and that our little ones will be in kindergarten!! YIKES! It must be like Christmas every month at your house with your glossy boxes. How fun and something to look forward to. This past months looks great! Have a wonderful weekend. Well I do love a good exfoliator! 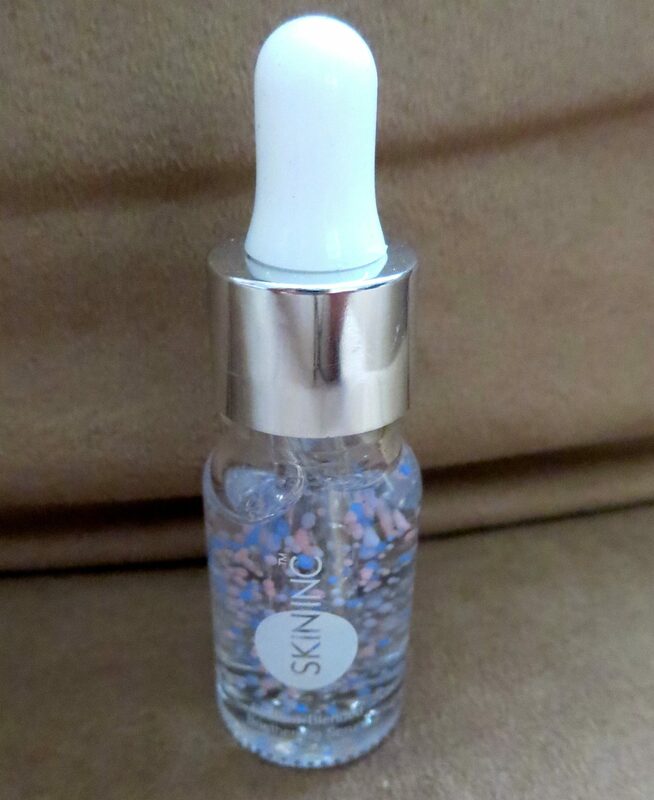 And the brightening serum – I got a sample of that recently. Maybe in a voxbox? It was cool but I’m still not entirely sure what it does. Is it like Photoshop for the face because I sure use the “brighten” command? I love reading about what comes in your Glossybox–with my super thick, super frizzy hair, that detangle/frizz-free awesomeness would probably be a lifesaver. Hope you and your super sweet girls have a great weekend! I want to try that mud mask and that body cream looks great too!! I love when scents bring you back to childhood! Wow some seriously amazing products I had no idea even existed! So much goodness, thanks for sharing! Ok, I seriously want every single thing here. I love face masks. I love how fresh my face feels afterwards. These products look great. I have always liked Phillip B. products, so it’s disappointing to know that a hair product smells like ugh, food. Yeah I’m still not sure about the Phillip B. Toning Mist. Thank you so much for linking to my video by the way! I like that they gave you multiple body creams. I like the massages right now and I think I need to start putting that sort of thing on my belly. I’m in the 17th week now! I think of everything, I’d like to try the Skin Inc brightening serum. That rocks that you received the full-size!